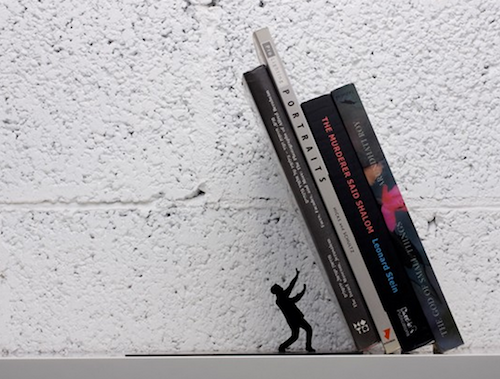 If you are going to fall for a novel bookend at least make it humorous. And this one certainly floats to the top of all the choices on the interwebs and would be a great gift for book lovers. It’s aptly called “The End” and features a little bookworm about to get squashed by the tilting titles. It’s just under 4.5″ tall so don’t expect to hold too many books with this (or even one big book). But it will certainly be a great talking piece as friends peruse you shelves. The price is all over the place, but averages around $15 as it’s listed here on the Mental Floss site. 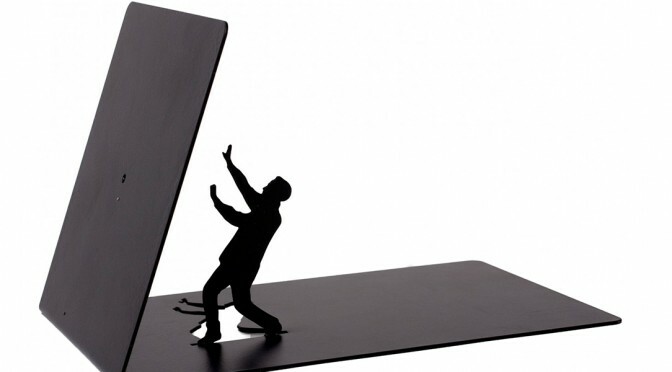 Do chime in if you have found any clever bookends that top this one! I think this bookshelf/table by Lema is awesome. It stores books, keeps them close, on display and still keeps the space a useful one. It’s a win, win, win, win. This creative bookshelf is called the Booken and it is being shown at an international furniture Show in Cologne. So no price yet. I could use three of these. Here is one that’s a bit exotic, if for no other reason than I can not find a US distributor. So ordering direct may be your only option. 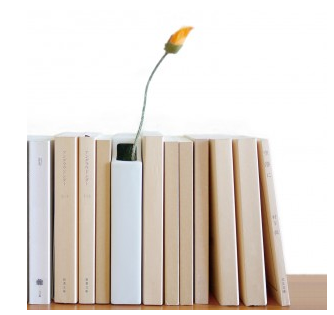 I have no idea what shipping from Japan would be, but this $40 porcelain vase would be very cool on most any bookshelf. 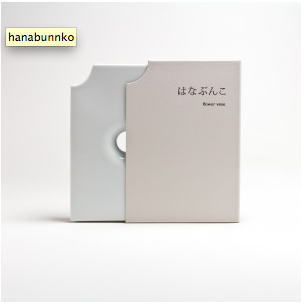 After translating the page, you can see that it’s called the Hana Paperback planter. It’s about the size of a trade paperback. What’s really nifty is the slipcase it comes in, so when you have no flower to show you can flip it around so the spine is facing out. This would be a very unique gift for any book lover. 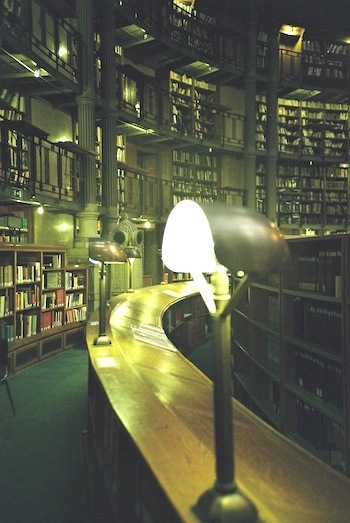 I saw this photo over on Exile Bibliophile (you do follow that site, right? You should) and it I saw so many things in this Parisian library that would improve my home library. Or yours. First, the lamps. It almost looks like an oops and causes your brain to stutter, but then you realize how many problems these metal half-shades solve. It’s brilliant. Next up is the curved bookshelf with the counter-height slanted standing desk along the top. While I could not use the curve. I do have the perfect wall downstairs where one of these would do just nicely. That extra top adds some utility and display function to an otherwise boring flat bookshelf top. Very very handy.